Hello everyone, here is Aviation Dreamer. Where you will get information about Aviation job search and interview tips. So today i am gonna tell you Air Asia Cabin Crew Salary. 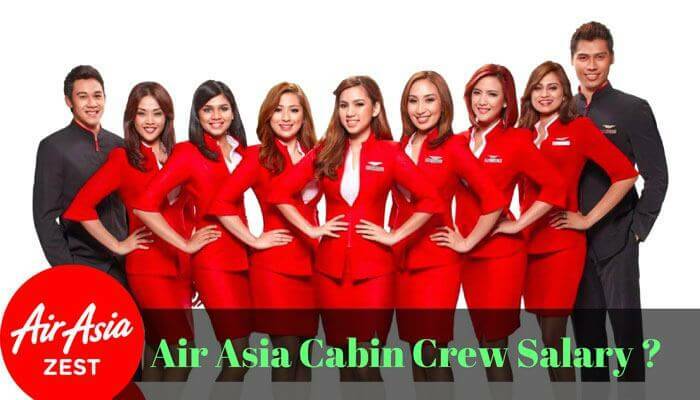 This article for those of you who wish to join Air Asia as a cabin crew. Good news as they have recently increase their salary scheme.Below is the old and new pay scale in details so please check it out. I hope all of know very well that if we are joined as cabin crew then allows we will get extra. Because all the airlines will paying salary + flying hours + recently Air Asia paying some some money for performance and + Incentive. So its depend on the airline and city that how much they will pay you? Air Asia is a Malaysia base company so all the pay will sow you as Malaysian currency(Malaysia Ringgit). Also you can check it for other currency to click here. So let’s say for example, for a particular working day you fly 4 sector and clock 6 hours, you will get MYR80 for sector allowance, MYR60 for flying hours and additional MYR60 if performance incentive is met for a total of MYR200 per day. Note – On top of the above you will get 6 free tickets per year and sales commission from food, beverages, merchandise and duty free.